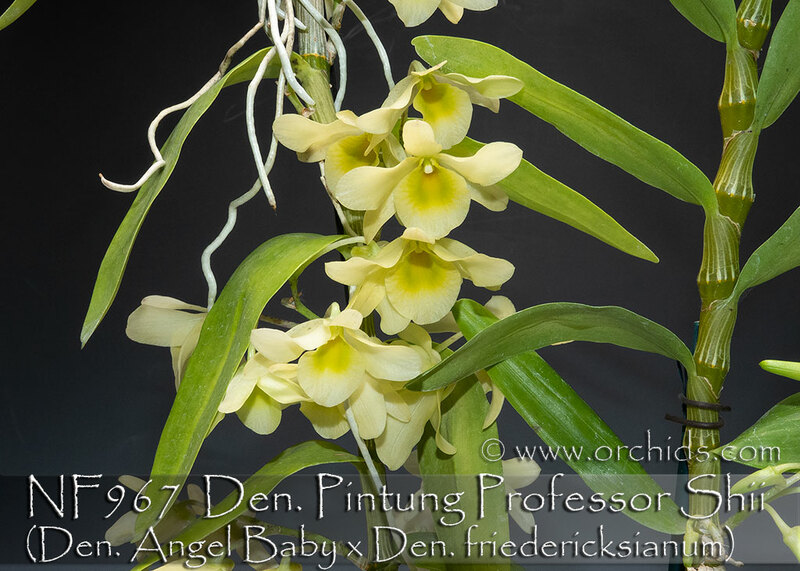 A mating of our very favorite miniature nobile-type Dendrobium with a great species pollen parent ! 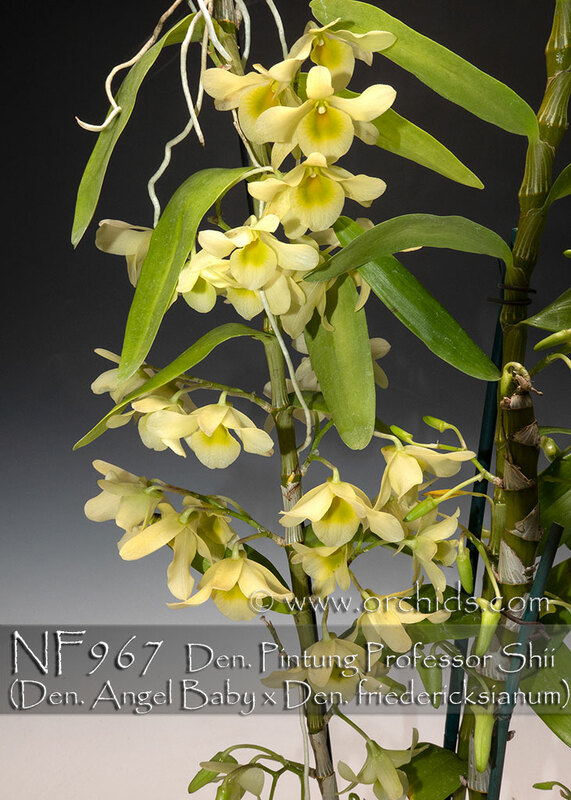 Capable of producing up to four pleasingly fragrant flowers per inflorescence, this medium size Dendrobium can produce multitudes of creamy yellow flowers from the nodes of its canes, each accented with a rich yellow-orange throat. A very productive and weather-tolerant hybrid due to its Den. 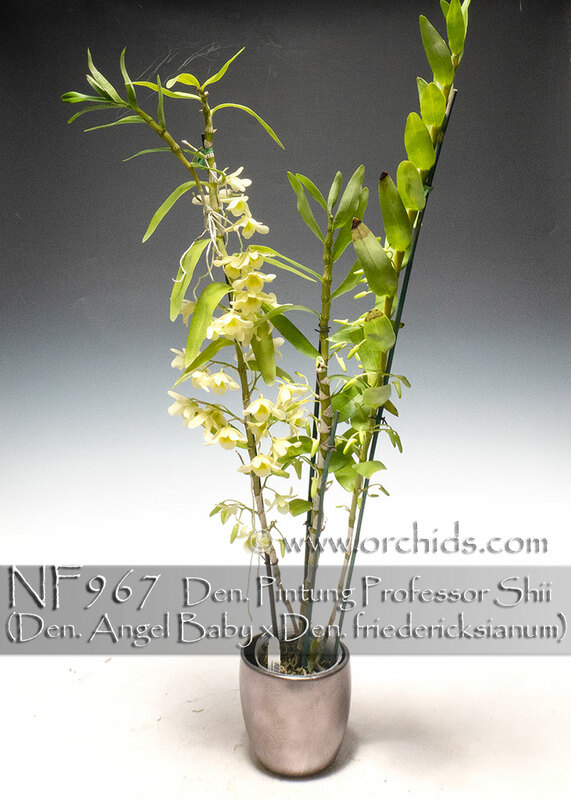 fredricksianum pollen parent and capable of flowering from its deciduous leafless canes, in addition to newly mature leaved canes, this brand new hybrid is Highly Recommended !